Reborn – the Time of New Beginnings…. Reborn – the Time of New Beginnings….. In these last few weeks massive shifts have come and are now moving in at an enormous rate. This is the force, the Creative force now moving in, as embodied with the Divine Feminine. It is the Creative Force of Creation. It brings with it the opening up of the heart on all levels. It will crack open the heart, and then some more, and move us into the state where we stand vulnerable, naked, like a newborn baby. For this is the rebirth – after being crucified the New Man or Woman arises. She/he is not the old Adam or Eve anymore, but still not quite formed. There is the intense vulnerability of the new born babe having to adjust to a New World, and a New Way of Life. Therefore, do not panic if you do not know the way forward. Do not go into deep lamentation if your life seems to be moving into a type of chaos, and the world moves into this state as well. Chaos has to occur before the new can be created into patterns and forms. First the seeming chaos, that dissolving, those birthing pains of the mother, and the baby now being born…. With the new baby a new future is emerging – your Future-Self. That Future-Self will look and act very differently, from the self you are now, as in this moment, and in this embodiment. With this then transformation at its core – but this is positive and new and it is that growing of the baby into the toddler state, then crawling and then finding its feet and starting to walk, but still stumbling and falling over…. It is best at this time, to allow your heart and soul to be cleaved open. Allow yourself to feel deeply, profoundly, intensely. This is love coming to reside in your heart, and your heart needs to crack open, break, dissolve, in order to be so filled, that is becomes greater, more, expands to become one with the cosmic heart, and all of creation – infinity. In that you heart is open, you start moving into a higher state of conscious awareness. Because of this intense reborn state, you feel at the core of your heart. You feel into your most sacred parts, and into your own womb area, and into that which makes you a woman and makes you a man – your inner heart-felt Being as express through your sexuality, with union in such state erupts the sublime, the bliss and into the state where you are one with LOVE – in all its expressions, and creative forms. In moments of sheer union, where the heart is so open, (that is- has cracked, opened, and then some more), the body opens more. Tenderness reigns… vulnerability…. If true love enters, into the male and female hearts, and all is cracked open, then room is made for the sublime, the bliss then ecstasy which comes from a fully cleaved open heart. It is the merging beyond merging. It is when the Beloved becomes so beloved, that you ARE the Beloved, and the Beloved is YOU = there is no difference, there is no mind (the mind dissolves) and there is just ONE LOVE, ONE BEING, ONE SINGLE STATE OF SUBLIME BLISS – CONSCIOUSNESS. Waves and waves upon waves of pure sublime LOVE! In this it becomes that moving into wholeness, into equilibrium, in that perfect balance within and without. We are not quite there yet, and of course there will be times, when we are pulled back into the old, for the old wants to hold onto form and not dissolve into chaos. But remember, the law of free will and remember the truth of whom and what you are! The more you step into your higher soul self, and into the truth of your soul and are in higher alignment with it, the less you want to stay in the old world, and the more you start claiming your cosmic citizenship, and claiming your true inheritance as a Son or Daughter of God. You cannot shrink back in to the state of forgetfulness, of separation, of lostness…. For you know that is a lie and not true….. Yes, we are babies being reborn…. But babies learn to trust. They learn to allow that being nurtured and simply allow life to flow within them and into them. They feel safe in the knowing, that they are being cared for and loved and trust that they will grow up into the magnificent Being they in truth are. As yet, we are then being reborn and re-formed into the new – as yet, this is painful, yes, but also makes for amazing new experiences to emerge, as our third eyes open up, and our own cosmic transmitters become more and more activated. We start tuning in cosmically, and we start LIVING that. We honor the Earth and we are atone with her, for she gives us bodily form, but we also honor and merge with the Divine Goddess, the Creator, the Divine Feminine, and we merge with our cosmic soul self, as this is the truth of our Being. We become expanded Beings – for our thinking, our feeling, our living, expands. We cannot shrink back into the 3D – for it is too small, we have grown bigger and taller and far more complex. We have embraced the 5D and we do not wish to go back. Such is the amazing gift of this time. Open your arms and heart to receive. Welcome her in, the Divine Feminine, and allow her to come and reside there deep within you and allow her to recreate you. Ahhh, what a gift – sublime gift! Diving into the Abyss of Love…..
We are all transformed at some profound level, when what we have been programmed to believe as the truth, dissolves before the very flames of Divine Truth and whatever is hindering our higher soul selves from seeing the truth has been removed. In no other timeframe in human history is this more applicable than now. For many thousands of years the truth has been severely repressed. It forced a lot of those who were the custodians of the truth to go underground and to try and hide the truth in sacred geometry, in architecture, or in hidden lore. Often the truth was embroidered into stories, into legends, into a masked type of storytelling which had many multiple levels of meaning – you literally had to un-wrap the whole, in order to find understand what was being told and if you were not an initiate you would not even bother to dig deeper. It is therefore then no accident that when we become awakened at some level, and seek to become an initiate of the higher teaching and learning, and even higher healing, that we have to go through an intense deprogramming. It literally means that the programs in our subconscious hard drive, which has been programmed into us from the moment we were born on this planet, via our parents, grandparents, teachers, education systems, etc. will have to smashed and scattered at some level. 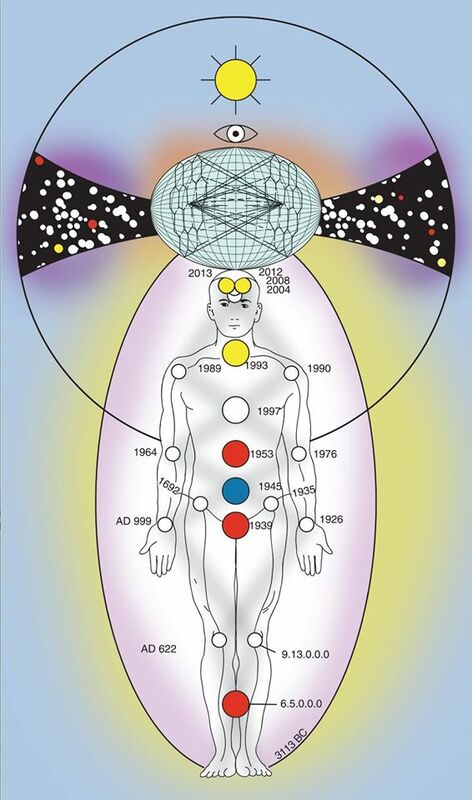 The original Divine hard drive, the original Divine blueprint, has to be reintroduced and with the Divine programming. We will often be led to the truth only once we start questioning. At some level we will find that we start awakening, because we feel that there is more to life than meets the eye, we feel a deep longing, a wanting to truly know why we were born on this planet, and why things seem to happen in our lives. We have a yearning to go and delve deeper and deeper, until we find whatever we are looking for: – deep down we know that what we are looking for is not going to be found in the status quo, but somewhere else. In itself this becomes a journey. It becomes a journey of rediscovering ourselves and find our truth on multiple levels. The moment that awakening dawns, the inner journey will start on many levels. The deeper we delve within, the more we have to release – for there are many things which happened to us during lifetimes which we have deeply buried in our soul memory banks, and in order for us to raise our consciousness at this time, we will have to release all of these, for they no longer serve our higher soul growth. Nowhere is this more applicable than in the field of loving relationships. In lifetimes before this we might have created negative patterns with souls whom we were married to, had as lovers, and some of us were forced into sexual slavery or some kind of abuse, and will attract the same souls into our lives – for we have old soul patterns to dissolve and to heal, to bring into higher alignment with, so that we can heal on many levels. The deeper the love, the deeper the delving into those patterns will be. For our souls are energetically linked through time and space. Higher healing can only come, when we are prepared to delve ever deeper into the patterns and into the pain. Where did the pain start? Where did the distrust start? Where the blocks, the hindrances? Why am I allowing myself to react like this to the other? Why do I allow this to happen time and again? What is hindering me from delving deeper into this relationship? What are my deepest fears and why do I fear? I have found that when I had the guts to face my own shadows, and delve ever deeper into my soul wounds and the pain, that I was always led back to LOVE. Love for myself – Love for the other – Love for the Divine. In intimate and especially Twin-flame relationships, those patterns and soul wounds can go very deep. Don’t think that the pain will go away, the blocks, the hindrances, the challenges, unless you are willing to delve ever deeper into the pain, and find the truth about where the feelings and emotions, the reaction come from. For the triggers are there buried deep inside of you. It brings one into the higher states of LOVE. 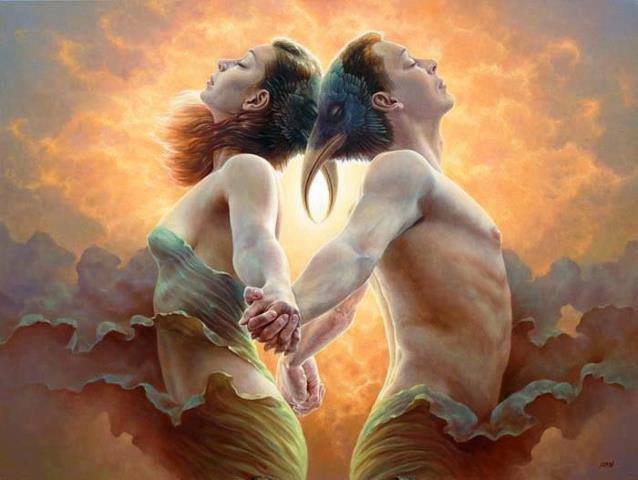 The realization dawns, that when I move into the immense depth of love that I have for another, and especially a Twin-flame, there comes a moment when you feel, I cannot love more, I cannot love more deeply and more profoundly. Being reunited on any level, is sublime but beyond words. Yet, it also moves deeply, so deeply into the core depth of our souls, that it is excruciatingly painful – because of the depth and breadth of love. Maybe the ultimate state of Love is where one is so cleaved open to the very core that one can do no other than LOVE in its ultimate and most exulted form. It is RAW love, pure Love – it the intense feeling, energy, and BEING which goes back to the first of Creation. PURE LOVE. LOVE AS IT IS IN PURE MOVING ENERGY. It the energy of love without scope, without form – it is moving into a formless abyss. Maybe in order to truly experience the ultimate and sublime love with another, is to allow yourself to be pushed into this formless and endless abyss and overcome your own fear of being drowned in it or to lose yourself totally within it. One is not just a particle within this vast abyss and energy – ONE IS LOVE – ad infinitum! There is not one particle held within the abyss not filled with love, and LOVE. When we allow ourselves to dissolve into abyss of love we find that we can never be separated from LOVE. WE ARE LOVE. We are the abyss we delved deeper into and we are ONE. It is only through dissolving totally into abyss of LOVE that we can transcend the ordinary consciousness state and span dimensions. We enter the Super-consciousness fields – the cosmic consciousness fields, the Divine consciousness fields. It is only by having come through this abyss, that you can truly love the other, beyond what is humanly possible – for you are now ONE with LOVE and in that ONENESS the other is ONE with you. You have entered the supreme state of Love, beyond all possibilities and the impossible, where all you can see and find in the other is LOVE, the same Love which is you and the same Love which is held within all of Creation. ONE. Love is so profound, such a deep mystery in itself, that the deeper we delve into the cosmic realms of Love, the deeper we dive into the realms of Infinity. How do you explain Infinity? And how do try to even phantom the depths of Love? It is not a tap one can turn on and off. Whether a soul is embodied or not – it does not matter, for the soul is pure ENERGY. It therefore has many forms and multiple existences simultaneously in different parts of the cosmos. There are 12 flames of YOU that make up your soul, and the other parts of you are all over the cosmos. There are 144 other souls just in your own soul group. With some souls, and twin souls we have experienced many lifetimes, in many different forms and dimensions, expressions of life. So, life on this planet might just have been one single strand in lieu of millions such strands. Yet, take those strands back to its Source, and you will find that love was there from the very beginning and love will be there eternally – for love is immortal. With some souls we have such a close bond, that even if there seems to be something not kosher, something blocking or hindering, or seemingly out of sync, the love is still there. It is just that we sometimes have to look past the illusions spun on this planet and elsewhere and get back to the very core – and then love will reveal itself. I had an experience the other day, when I was delving ever deeper into the layers of what I had to release in order to clear certain energy centers in my body. I was brought back to the state of fear and a type of mistrust I had for a soul with whom I have had many lifetime together. In that I loved this soul immensely, I just could not seem to get past some of my own blocks. I had to find the blocks, in order to heal, and then to get to the state of pure love. In this I was brought back to a lifetime where this person had to initiate me. The initiations in the Ancient Mystery Schools and Temples were severe. They not only tested the endurance of the acolyte to the very core – they literally threw you into the underworld of Hades, and expected you to come out of it alive. It was really all about overcoming fear in all its forms – in such moments of being severely tested, a soul often had mystical experiences, which in reality then pulled the soul through. When the soul had nowhere else to turn but to the Divine for help, then the soul would continue to do so, even in the most adverse situations. Well in this instance I was thrown in a snake pit – pitch dark with cobras and vipers. Well, in the midst of inexplicable horror I managed with the help of my angels and higher guidance to get onto a ledge and out of reach of these writhing snakes. In this event hovering between two worlds, the latch opened and this soul pulled me out of there – barely alive. In that moment of doing so, he was crying. Sobbing. It was then that I finally understood that he loved me so much, and always had, and in having to put me through all of this, he was suffering just as much. It was then that I could see past all my own fears and hang-ups, and into the depth, the beauty, and awesomeness of the heart and soul of this man! It was then that I understood that hatred, when delved into deep enough, always forces us back to the state of pure love, for indeed it dissolves within the Power of Love. When Love dissolves hatred, anger and fear, it moves into the state of utter pure love. It is then that one can stand before this soul, and just have tears of gratitude running down your cheeks, and a heart overflowing with love, for here the lessons are far greater and more profound. It brings the honing back to the infinite core of LOVE – the Source Love itself! I am merely sharing this, for I want to just bring you back to the point that you understand that love takes on many forms and expression. Love sometimes is tough and sometimes it is joy, and at other times it is intense and utter pain. Indeed, there can be no greater pain than loving someone so much that one cannot even put into words the depth of that love. Words seem to be a sacrilege! When we get to the core heart and soul of every living Being we will find pure love. It cannot be other – for the Divine created the loving energy as being part and particle of all souls. There is not one single soul in existence in the cosmos that has not love within its very make-up and form. It forms part of the soul energy! When we get to core of love – and feel this intensely, then we can only be grateful for the profound lessons that love brings. When the heart is opened up so much, as is the soul, we can only see LOVE within the other soul. All else fades into oblivion! 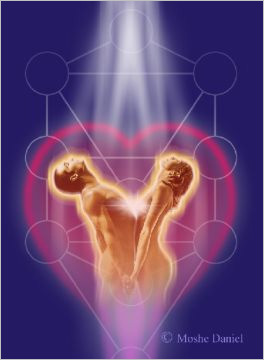 It is soul and love energy connecting and uniting with soul and love energy. There are no physical bodies, and no human emotions, no illusions, no stories coming in the way anymore: – there is just total and Divine SOUL LOVE! It is soul energy fusing with soul energy. It is heart fusing with heart. It is soul flame merging with soul flame. Interestingly when this happens, the Holy Spirit flame is ignited. The flame of Eternal Love, Power and Wisdom = yet the access to this flame only comes in total ONENESS. When one experiences such total love, one is brought back to LOVE in its creative form. It is Love without boundaries. It is the truth of love. In its true form, as it was first created. We are now going through the greatest phase of being revamped and this will continue throughout and more or less until 2024. It is an intense time of wakening up to the new and ancient energies being released. It is something so powerful and potent, that I am doing my best to translate this into a language that you will be able to understand, as I have had mass downloads of energy field knowledge yesterday, with intensely important keys and codes getting activated. In this there is a huge shift now from what we had in the industrial and technological ages, where all was in the mind. The balance is now returning into that the mystical and magical is now returning. With magic I am really referring to changing energy forms – therefore whatever one can dissolve and then reassemble is but a form of high technology. Remember that in ancient days, magic basically was to understand the alchemical laws of fusion. It was also a method of dissolving what looked like solid matter, into tiny particles and then rearranging it into a different form. Therefore it was understood that all of life was but energy, and because one was energy one could have an effect on other energy fields, if one just knew how. One was consciously rearranging energy fields and creating them into new patterns and forms, within the cosmic laws of creation. It truly was not magic, but just a much higher state of consciousness and a more advanced evolutionary state. Please do not confuse this shamanic work – I am not referring to this at all. One of the components in doing this, was sacred geometry. Another was sound and yet another was the vortex energy field as in the use of quantum energy fields. This is something mankind will start remember how to do in the next 50 or so years – at the moment we are not even grabbling with an inkling of what this was all about. In what I have been shown recently, there is thus a whole immense type of energy field now opening up within the earth which has lain dormant for billions of years. It was removed or deactivated a long time ago, and it is now going to make itself felt. For want of a better word I will call this a marriage between the vortex energy fields and Goddess energy fields but in reality the two are one and same. It is a vast creative force and it works via the intuitive heart-mind. 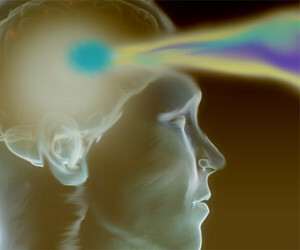 Therefore certain energy channels in the physical, mental, emotional, spiritual bodies have to be activated in order to be able to allow this energy to move through one and then to activate certain unused chambers within our third eye-brain, dormant for so long, and within our heart and solar plexus areas. In reality this all links up to our spinal column – as this works in tandem with our chakra energy systems, but the higher chakras, need to be activated in order for all of this to start functioning and one whole. 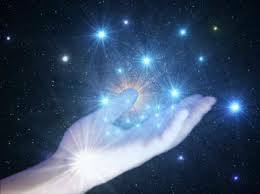 I have had some amazing experiences in the last few months as I was shown this and I was being activated within so that I could move into this advanced technology – I had to get my own frequencies and vibrations up to that level in order to even glimpse this. This is such advanced technology – but it is ancient – and it is like stepping into the quantum future of this planet, but in reality it is stepping into the past. In a lot of ways we have to be reprogrammed to move into a different state of advanced being, where we can remember all of this. The triggers therefore are not so much then in our energy fields and that of the planet, but are far more intricately evolved that this. It works with the SOUL energies, as each one of us has unique soul frequencies and vibrations, and some souls are programmed to activate at certain times, when they get into contact with certain vortex energy fields in the planet – often they do not do this consciously but subconsciously, when they are being pulled to a certain place and then just feel like they FEEL better, or more activated there. With all of this which is being now reactivated within us, we need to understand once and for all that the old ways are leaving us. It does not help to try and rationalize this, nor go into fear patterns, nor try to run away from it – for indeed how can you run away from your own soul and its soul contracts? How can you run away from what you knew would happen when you would incarnate onto planet earth? It is just that most have been so controlled and programmed by the society and institutions that they cannot think for themselves, and more than this, they have not learnt to question and find the truth from deep within. I would not be able to share all of this with you, if I had not been brave enough to leave behind my old life and then follow my visions and calling and move into a totally different way of seeing and experiencing life. I know this to be true of many people who shared their stories with me. We all at some point lost everything, in order to regain our soul and be led to expand in many ways. This expansion has given us a whole new conscious awareness – but the old first had to disintegrate completely, and we had to be reprogrammed so to speak from our soul connections, and cosmic citizenship, in order to remember and then allow this to be activated from deep within. So these next few months and years are going to bring us in truly more and more quantum shifts in consciousness. It will literally shake us awake from the sleep of billions of years and the depths of forgetfulness. I have found the more I remember, and the more I am getting activated, that there is a sense of familiarity – some part of me knows this and has known this for eternity. I just fell asleep for awhile, that fraction of me that is incarnated in the here and now on this planet. The rest of me as access to the most amazing information held in the whole cosmos, for it is all one and same vast energetic field – all creation is one vast energy field. It is a matter of learning to tap into this vast field and claiming your own keys and codes within it. The intenseness of Being itself is vaster than the cosmic sea. Some of us dangle between the lines, between the earth and sky and feel lost in the space in between. Some try so hard to just survive on the planet that the rest is just not there – in the sense of being concretely there. Some are trying to ascend into the higher state of Being, without truly understanding that ascension at this time means bringing down the higher states of evolution and transmitting it back into Mother Earth. Therefore bringing heaven down to earth – in all and everything we do and are aspiring to be. A lot of us, wish to dishonor the Earth, and to cut ourselves lose from the life breath that sustains our physical form on planet earth. Yet, without a physical form, we cannot anchor that heaven into earth, as much as we try to. Whatever we see in some form in the higher states has to take some concrete form on earth. I was trying to explain a concept yesterday, whereby I was pointing to the fact that the inner earth is rearranging itself – therefore there is much activity going on in the inner earth. We live on the outside and then when earth quakes, tidal waves and whatever natural catastrophes strike, we tend to lament about the forces of nature and blame Mother earth – but we never took the time to truly honor her soul and understand that she is a living and breathing entity, much like ourselves. Her physical body is just vaster than ours – but that does not make her something to raped and exploited and destroyed? Interestingly a lot of our inner world does manifest into outer form. When everything is churning inside, and when there is no peace inside, and self-destruction or death wishes are there, then we will manifest that in some form on the outside. If we hate out inner guts, then we will activate hate somewhere in outer form and will hate the guts of all around ourselves. Within our own physical body, the whole micro-organism of the earth is reflected in our guts. So, even if we wish to dissociate ourselves from Mother Earth, she literally lives in every cell and fiber of our bodies. What happens in the microcosm happens in the macrocosm and vice versa. I am touching on all of this, for often the nucleus of what we perceived to non-functional in the outside world is reflected inside of us. It might be that certain organs are dysfunctional, or certain aspects of our physical bodies are in pain, or are trying to hone into ourselves, what we have not released or made peace with in our inner world. I was reminded of this the other day, when I was going through a period of pain in my body. I tried to heal the physical body, but the cures were not helped. When I refused to go for in depth examination, and decided to get to root of the problem, I found that I had a lot of inner clearing and cleansing and releasing to do. Past life memories started coming up, and with the help of a healer friend, intense things were removed from my spinal column and throat, and my sacral chakra. But still the pain lingered. It only when I went to for Reiki that the Reiki Master innocently asked me to go back to an incident in my childhood, and when I remembered and released the feelings of intense guilt of a five-year old, and cradled that child in my arms, that I could let go of the memory banks. Interestingly, when I did that, the pain disappeared. So, with the multiple cleansing and releasing of the emotional pain and memory banks, I could delve ever deeper into my soul, and truly go deeper into the soul scars and wounds I have carried into this life – as all those karmic links and ties which I have come to resolve in this lifetime, will come to the fore, as I am ready to release that memory bank and forgive myself and others. With this has also come a deeper understanding, of how we have soul contracts with other souls to fulfill. With some souls this has come over many lifetimes, and sometimes we were part of a specific group of souls who came in to do specific work on the planet. With the advent of the fall from the 7th dimensional state into the 3rd a lot of that work needed to be done all over again or at least if had to resurrected again at some level. Some had to hold certain codes steady, or take it into themselves at some level, in order to retrieve it at a later date, when mankind would be ready to finally understand these again, or have raised their consciousness sufficiently enough. Some of us, during the training in the ancient mystery schools, had to go through severe initiations, and sometimes died during those. So some of the deep rooted fears might have something to do with the method used, or the fear of failure, or then a deep seated fear of failing the tests so to speak. Some might have been persecuted for speaking the truth, or for practicing healing methods or doing things which were not understood or feared by those who were not able to see. Some might have positions of power, and then misused that power – so there will fears at some level of stepping into one’s power. Most people have a great fear of money and wealth. That is because of being in some religious order where they had to take vow of poverty, obedience, chastity, and still have the begging bowl syndrome and the feeling that someone else has to take care of them. Some truly expect others to pay the bills etc. for they see this as their right – to live in their own worlds and then have other people having to sustain their lives at some level. If you at some level fear money, or hate money, then you will attract more to hate and fear. For essentially like power, money is ENERGY. It does not have a negative or positive connotation, except what you conjure up in your mind or in some memory bank of your own soul. When you start blessing the energy of money, and you start releasing all those vows, and you start moving into higher states of awareness, you start to understand that when you reject money at some deep sense deep inside of you, and always believe that other people have to pay the bills and keep you at some level, that is what you will manifest in your life. The minute you change the inner awareness regarding money, and start sending it loving energies and blessing it, you will start attracting more money into your life. You have to live and sustain yourself on this planet, and you have to do this at some level to be able to anchor in your soul mission in life. If you do this abundantly, you can create more job opportunities for others, and more goodness all around you. Remember the energy of money is NEUTRAL. What you do with the money is your own free will and choice. Because other choose to use the energy of money for self-service or control is their own karma and not yours. Choose to use the energy of money wisely and responsibly, and you will enhance your own life and that of others and in the end all works for the greater good and greater whole. The same applies to all energy and all else. I have used and use a higher healing meditation where you literally start releasing fear – fear from all past lives, all fear programming, and removal of other blocks and hindrances, caused by your own inner belief systems. It is amazing how this works in multiple ways. It has made become more aware of how deep-rooted our fears are, and how deep-rooted our angst, insecurities, and programming – inherited over many lifetimes. I am sharing all of this today, just to make you aware of what you create inside yourself and outside yourself. The more conscious you become, the more aware you get, of your actions and reactions and how you choose to create your inner and outer life. The responsibility for your life lies solely with yourself and nobody else. It does not lie with your husband, your lover, your boss, your family, society or anyone else. It is solely your own responsibility. At the end of your life you cannot blame anyone but yourself for what went right or what went wrong. You stand before your Maker stark naked and stripped to the very core. That is when you whole life is reviewed – the lessons you have mastered and ones you still have to master. That will be another life and another life experience. So, why not make the most of the time you have here and now, to truly create the best life for yourself you can possibly manage and take full responsibility for your own well being and for anchoring your unique soul mission into planet earth, and make heaven manifest on earth? The Return to Wisdom as we remember…..